The only genuine President who has really been interested in ruling for his people in my opinion is Jose Mujica of Uruguay – a shining example for all his international peers to emulate. 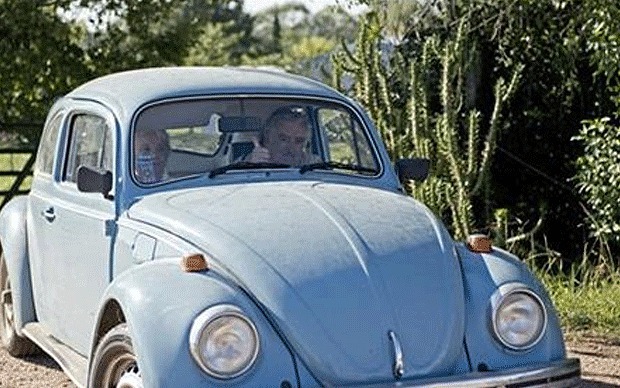 Uruguay’s President Jose Mujica flashes a thumbs up as he and his wife, Sen. Lucia Topolansky, ride away from their home after giving an interview, on the outskirts of Montevideo, Uruguay. Previous PostTrump is playing a dangerous game by trying to break up the EU. Europe will remain united in the face of Trump’s hostility.